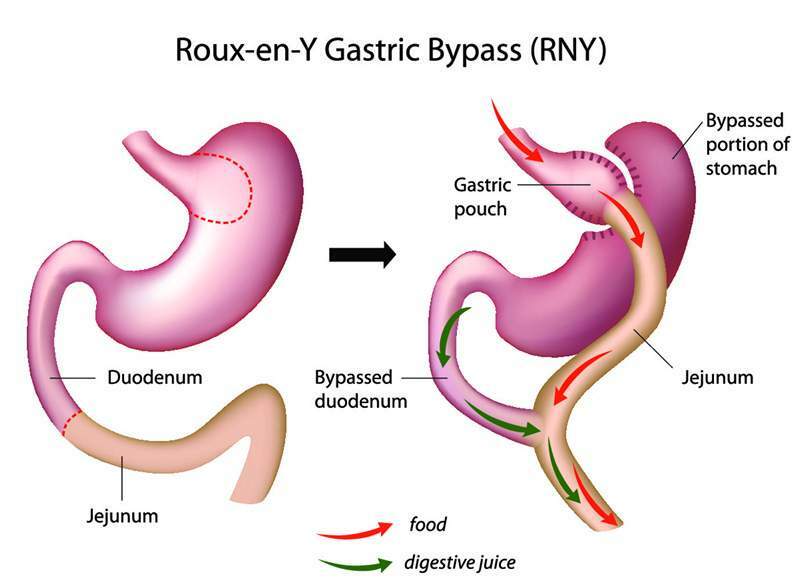 Gastric bypass is still the gold-standard of Bariatric Surgery. All other surgical procedures are compared to the gastric bypass, in order to measure their effectiveness. Gastric bypass is also the most popular weight loss surgical procedure in the United States. 1 – Restrictive step: thanks to our advanced laparoscopic equipment, we will be able to create a gastric pouch of 30 ml approximately. This gastric pouch will be your new stomach. 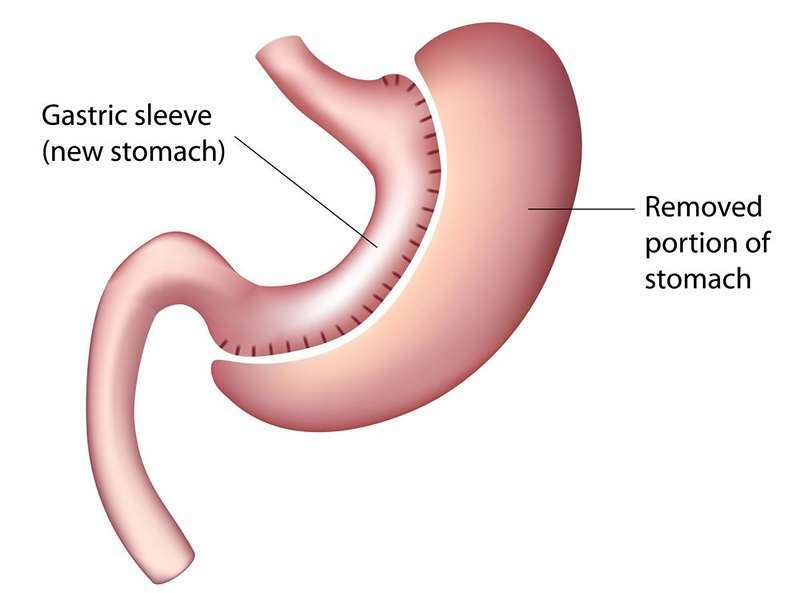 The remaining part of your stomach is not removed. It will continue to secrete gastric juice that will be poured into the digestive tract. 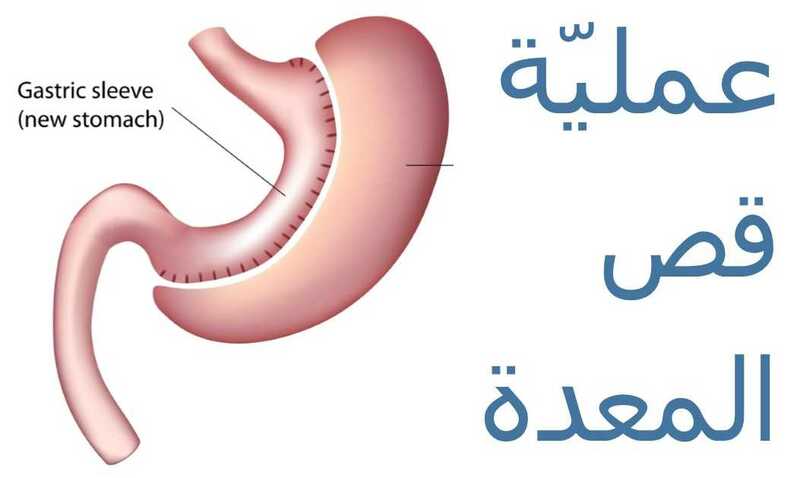 2 – Malabsorptive step: now we have to create the intestinal bypass. Therefore, we will bypass the first 150 cm of your small intestine, without removing it. At this level, we will connect the intestine on the new stomach (see step 1). In summary, let us measure the intestine from its beginning for a distance of 150cm. At this point, we will connect it to the gastric pouch that we created in step 1.